Here’s what Plated food delivery is: have you ever wanted a delivery service which brings fresh ingredients for the wildest of recipes to your door? No? Well, now there is one. Plated food delivery is an incredible concept in a fast-growing market of food delivery services. Its idea: let the customers choose what food they want to make and they’ll provide all the requirements for that specific recipe. Sounds good? You bet! In the following guide, we’ll be showing our readers all there is to know about the Plated food delivery service: what recipes are available, how they can sign up for the service, how the service works, and a lot of other details. Preparing a fancy dinner has never been so easy! Plated started out not too far back as a simple service built by people with a vision to change the way we look at our food. Considering the incredibly big problem that the US has with throwing out food, Plated thought about a solution. This solution was designed not only for this, but also to improve people’s diets, to improve people’s knowledge of food and of cooking, and to make memorable moments only through the dishes the customer’s will serve. That is why they didn’t only hire engineers. Of course, as a tech company focusing on the online, they needed to have people who could make the whole system work. So they hired important employees from all types of backgrounds to come up with ideas on how to improve Plated food delivery. That’s why now, they have a person tasked with finding new and exciting recipes, and someone tasked with making them, and them they even have writers who fill their blog with really nice articles about food and food-related stuff. It does seem like their mission is on the right track and that soon enough, many people will have heard of Plated and will want to try for themselves. Are you any bit excited about this? Well if you are, then we’re going to go ahead and talk about the Plated food delivery areas, the Plated food delivery times, and the Plated food delivery fees. Where does Plated food deliver? Just about anywhere if that anywhere excludes all non-continental territories or states of the US. So: no Alaska, and no Hawaii, and no to any other island territories. Basically, that makes up roughly 95% of the US. Also, a few areas in Texas are excluded (San Antonio, Corpus Christi, Laredo, and Midland). Before allowing you to sign up for their service, Plated will make you verify your ZIP code, in order to make sure that the delivery will arrive at that area. Plated will not allow users to pay until they have verified that they actually can secure delivery to that specific area. Plated delivers its boxes on a weekly basis. The customers can choose a biweekly subscription plan or a monthly plan. The first box can be delivered with as much as a 6-day delay since the subscription plan has been chosen. The Plated food delivery boxes can be customized according to the number of people who will be eating the meal. Plated food delivery boxes ship between 8 AM and 8 PM. Those of you who do not receive the Plated Food boxes within this timeframe should call customer service. It should be noted that most Plated deliveries happen after 12 PM. The customer service team can track any delivery in real-time. For most areas outside of big cities, the Plated Food deliveries are secured by FedEx. In big metropolitan areas, local companies may deliver the food to you. There are a lot of costs associated with Plated Food Delivery. We will be showcasing these in order, starting from those on the actual food, and ending with fees per person, and delivery fees. Each plate of food costs $12. This is the starting price. It can be raised depending on the specific recipe a customer chooses, and on the extras he or she chooses to add. Billing goes right before the box is sent. The credit card will be billed immediately for the first order, and then again right before each order is shipped. On weeks off, the credit card account linked will not be charged. Each dessert plate costs extra. For a plate of the week’s special dessert, the company will be charging $4 per plate. Shipping fee. Every delivery costs about $6. For orders over $50, the delivery is free. Free 2 dinners: To get free shipping on the 2 dinners for 2 people plan, customers are advised to add desert for 2 people. The resulting price will be $56, qualifying for free delivery. Customers don’t have to be home to receive their Plated Food deliveries. If they live in a safe neighborhood, the delivery people will leave the Plated Food box by their door. Provided they are given proper instructions, they can also leave the delivered boxes in the back yard. 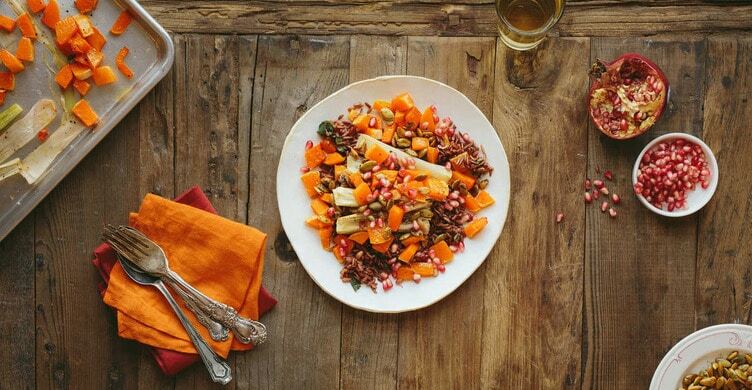 Plated Food delivery considers certain items to be staples. You should know that for every delivery, you should have: eggs, salt, pepper, olive oil, and vegetable oil. These are the most important ingredients that the company will not provide. 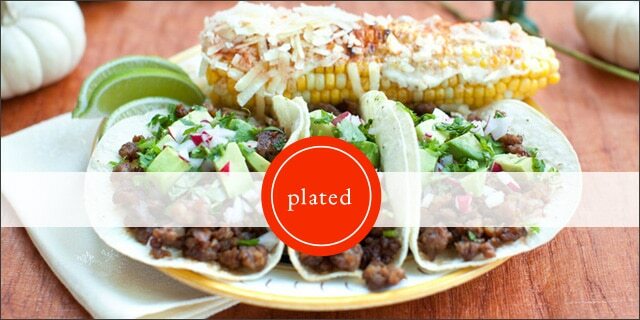 Plated food delivery will also inform the customer of any other, more unusual staples for a specific recipe. Hey Buddy!, I found this information for you: "Plated Food Delivery 101: Hours, Areas, & Fees". Here is the website link: https://all2door.com/plated-food-delivery-hours-areas-fees/. Thank you.